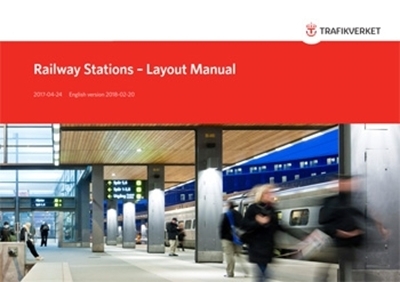 In 2012, the Swedish Transport Administration published the report ‘Railway Stations - Planning Manual’ as a first step in the development and dissemination of current knowledge pertaining to the planning and design of railway stations. This report sheds light on the subject and is addressed to both the Administration’s own employees and other stakeholders involved in station-related work. The report you are currently reading, ‘Railway Stations – Layout Manual’, is an ‘expansion’ that aims to provide Swedish Transport Administration employees with increased insights and opportunities to promote quality in the design of the parts of the total station environment for which the Swedish Transport Administration is responsible. Quality requirements and the outline design of a station’s fixtures and structural components are described in more detail in a third report, ‘Railway Stations – Design Profile Manual’.